Monster Hunting At Its Finest! The Monster Hunter series began 10 years ago on the Playstation two console in Japan and quickly became a pop sensation in the region, but in North America and Europe the PS2 and later PSP Monster Hunter titles were met with lukewarm success at best. However in 2010 Monster Hunter Tri which was exclusive to the Wii U console became the first truly successful Monster Hunter title outside of Japan and really showcased how online gamplay should have been handled on the Wii. 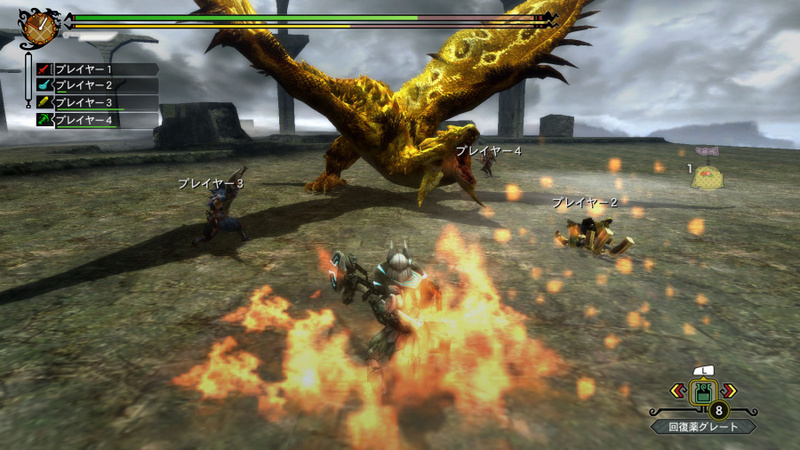 Fast-forward to 2013 and Monster Hunter 3: Ultimate was released on the Wii U and 3DS in the west and despite a slow start and small userbase has successfully sold roughly 500,000 copies of the Wii U version of the game "including eshop downloads" meaning that around 1:12 Wii U owners have purchased the game which is quite an accomplishment, but enough about the overview of the series, let's talk about this game! Monster Hunter 3: Ultimate is essentially an expansion pack for the original Monster Hunter 3: Tri for the Wii and contains more than three times the amount of content as it originally possessed in the Wii version of the game! 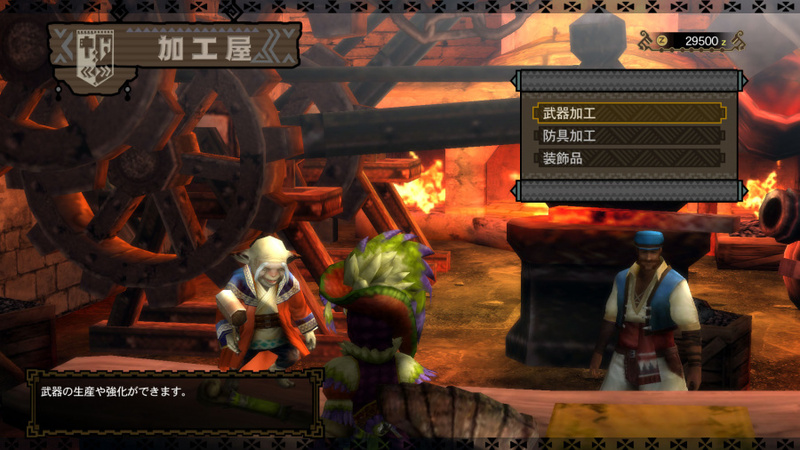 In Monster Hunter 3: Ultimate you must hunt monsters in order to obtain materials for new weapons and armor and mine and gather to create new items and equipment as well and you will be doing this alot throughout the game which if you don't like farming or grinding for items it will likely be a huge turn-off for you. 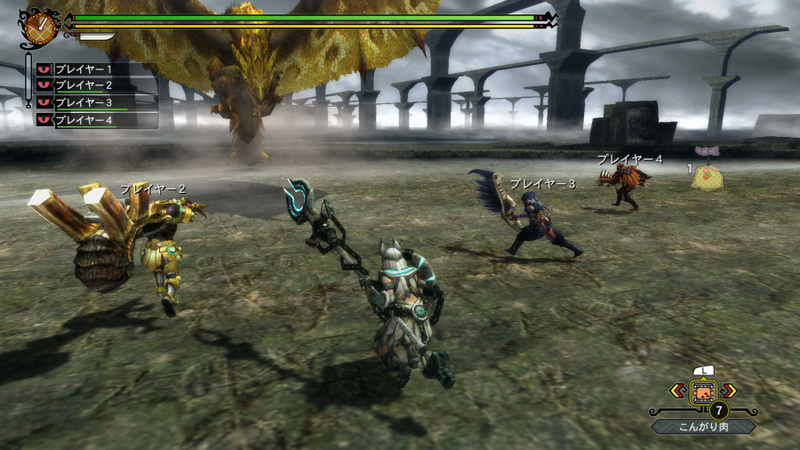 The game features over 70 monsters and 1,000's of items, weapons, armor, etc. meaning that it's loaded with content! 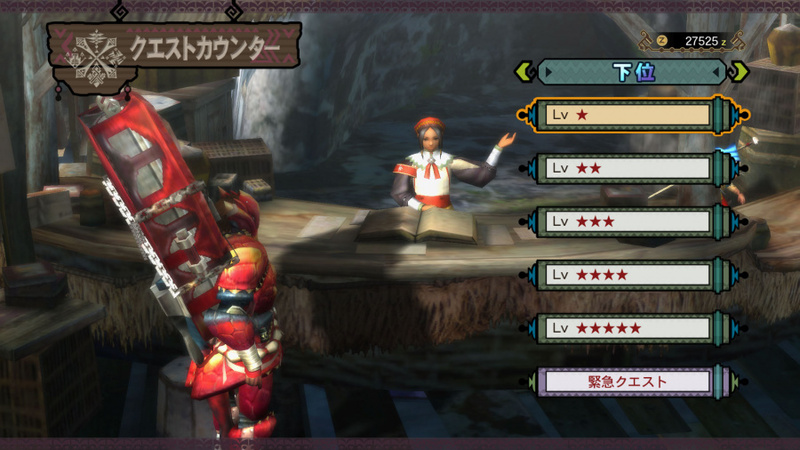 In Monster Hunter you will need to learn many things including how to effectively use your weapon of choice, elemental weaknesses of monsters, when a monster can be captured, and most importantly how to use optimal armor sets to survive prolonged battles with some of the powerful beasts you'll face in the game. It's once you get a hang of these important strategies that you'll truly shine as a hunter in the game! The online game mode in this game is the best available on the Wii U and not only are the servers very active, but you can also use the mic built inside the Gamepad itself to actually talk to your fellow hunters, which is an improvement over MHT in which you had to buy the separate Wii Speak accessory to talk with fellow hunters. Another great feature of this game is that all online quests are also available offline so even when the servers do eventually shut-down you will still be able to obtain materials that you may not already have obtained, but the later event quests would be extremely hard no matter how good a hunter you are. As for the controls, both the Gamepad and the Classic Controller Pro options work very well and are easy to learn and use, however it's difficult to read the menus in the game on a TV due to the text size so the Gamepad might be a better option for those with poor eyesight. 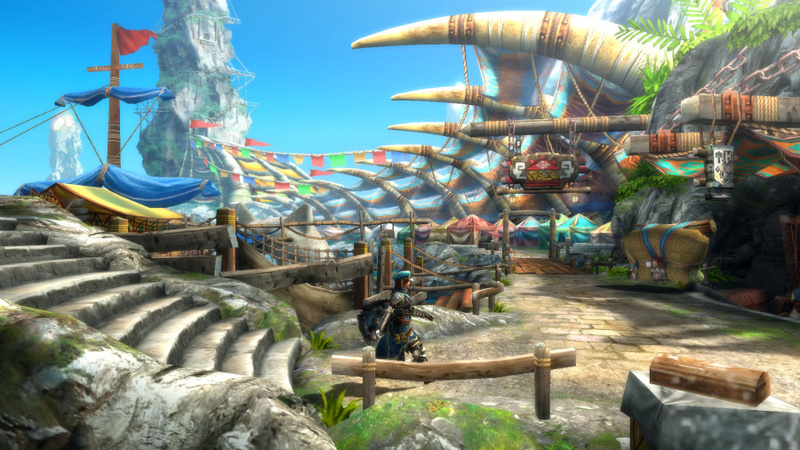 The graphics in Monster Hunter 3: Ultimate are a good deal better looking than those in Monster Hunter Tri as character and monster models are far more detailed and the hunting grounds look far more crisp with vastly improved lighting effects and animations and the lack of jaggies and pop-ups that were noticeable in Monster Hunter Tri on the original Wii. The soundtrack in this game is varied and will really impress you and the ambient sounds of the hunting grounds as well as the snarls and roars of the monsters are equally impressive which adds to the overall experience of the game! With flawless gameplay, excellent controls, a top-notch online mode, and impressive graphics and soundtrack you would be depriving yourself of one of the most enjoyable experiences for the Wii U console if you choose not to add this game to your Wii U library, we can't recommend this game enough, so what are you waiting for?! 10/10. That is correct score for this game. Original was my favorite on Wii, and already sunk 200+ hours into version. So much to do, and best online on a Nintendo system. If you see XCWarrior online, that's me! I recommend the Wii U version because it's the only way to play online. Great review if any game deserves a perfect score it's this one! "The online game mode in this game is the best available on the Wii U"
MH3U is a fantastic game, I already owned Tri but decided to get Ultimate anyway. Worth the purchase! Nice review by the way! Great review Rukiafan this is one heck of a game! @Gamergy wrote: MH3U is a fantastic game, I already owned Tri but decided to get Ultimate anyway. Worth the purchase! Nice review by the way! Good decision, and thank you! XCWarrior wrote: 10/10. That is correct score for this game. Original was my favorite on Wii, and already sunk 200+ hours into version. So much to do, and best online on a Nintendo system. If you see XCWarrior online, that's me! I saw you once actually, very friendly player. Thanks for commenting! Thank you, and good decision since you are always on the go. @SuperVash wrote: I recommend the Wii U version because it's the only way to play online. Great review if any game deserves a perfect score it's this one! Agreed though if you're a busy person and aren't home very often I'd say the 3DS version is a good alternative. Thanks for the compliment! Monster Hunter Tri was good, but Monter Hunter 3 Ultimate is so much better lol. Am I the only one who's actually playing the 3DS version of MH3U? If I owned a WiiU, I'd definitely join the clan. Would I just need the WiiU console and the USB adapter to play the 3DS version online, or is it also necessary to have a copy of the WiiU version? MH3U is a really fantastic RPG, but I can't see myself purchasing a second copy just to play online. Ive got both the WiiU and 3DS version of this game. TOTALLY WORTH IT!!!! !